Channabel Latham-Morris two weeks ago received correspondence from the recipients of her son’s kidneys and pancreas. Three months ago she got a letter from the person who received his heart. 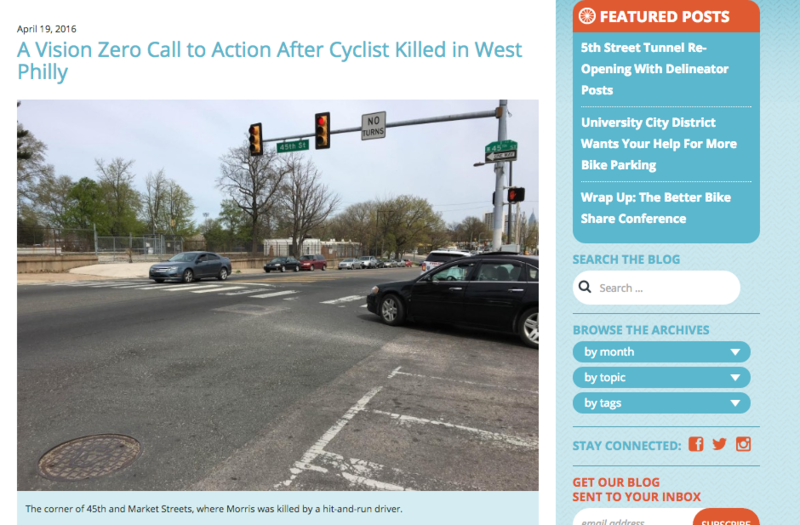 Today, April 18, marks exactly one year since Jamal C. Morris was killed while riding his red bicycle in West Philadelphia last spring. Morris, a Drexel University graduate and mechanical engineer, was struck on April 16, 2016, while bicycling near 45th and Market Streets. He died two days later at age 27. The person who hit Jamal has never been caught, but his mom insists that the investigation is still ongoing and pointed to a $5,000 reward from Crime Stoppers for any information leading to the hit-and-run driver who killed him. No camera surveillance was available. Jamal was one of four bicyclists who lost their lives in Philadelphia last year, according to the Bicycle Coalition of Greater Philadelphia. Morris has accompanied the organization to Harrisburg to lobby for bike safety bills. 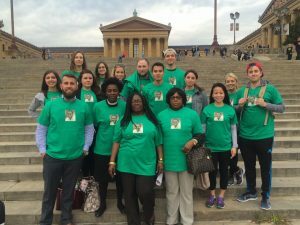 This year in honor of her son’s memory, Jamal’s mother created the Jamal C. Morris Foundation, a non-profit organization designed to educate African-American students who are interested in majoring in engineering at Drexel, to advocate for people to become organ donors and to explain to young people the importance of wearing helmets when they are riding a bike. Jamal graduated in 2011 from Drexel’s College of Engineering. He was a mechanical engineer with AMEC Foster Wheeler in the city and a part-time staff member at Penn Athletics at the University of Pennsylvania. To honor Jamal’s memory, a memorial service will take place at First District Plaza, 3801 Market St., May 6, at 1 p.m., followed by a scholarship luncheon at 2 p.m. Tickets are $100 and $75 for children under age 10. 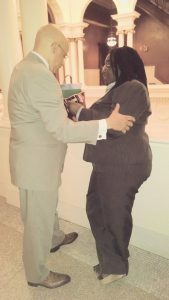 Morris is a member of the African Methodist Episcopal Church, with whom she credits alongside her husband Hector Charlton Morris and family with helping her to be strong. “The Foundation has set goals for itself, hoping to send promising African- American students to Drexel University School of Engineering to take part in the educational program that helped shaped Jamal Morris’ life,” his mom said. Morris hopes to be able to make scholarships available to students within the next couple of years. For those who can’t attend the ceremony next month, a donation in any amount can be made. If monetary donations are not an option, the effort urges the creation of biker awareness, contacting legislators to increase biker protection and rights, creating a bike buddy system, or becoming an organ donor. Courtesy of the Jamal C. Morris Foundation/for PhillyVoice Channabel Latham-Morris lost her only son to a hit-and-run in West Philadelphia in April 2016. Next month, the foundation she started in his memory will host a luncheon to help raise money to fund scholarships for African-American students who want to study engineering. One year ago today, Channabel Latham-Morris’ only child was struck by a hit-and-run driver as he rode his bicycle near 45th and Market streets. Jamal Morris, 27, would die two days later after his organs were donated to those in dire need. Her emotional wounds are still fresh to this day, and she knows they’ll never fully heal, even if the driver is eventually apprehended thanks to a $5,000 reward from Crimestoppers. She’s tried to find comfort within her grief through a foundation named in her son’s memory that, among other things, raising money to fund scholarships for African-American youths who want to study engineering. 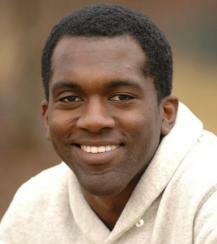 Jamal had graduated from Drexel University in 2011 with a degree in mechanical engineering. That he was struck while riding his bicycle in West Philadelphia explains the foundation’s support for the local Bike & Build program as well as bicycle safety and brain injury awareness efforts. Jamal’s organs helped save the lives of strangers, and Latham-Morris has committed herself to speaking to African-Americans about the importance of organ donation, something she said is lacking in the community. On May 6, the foundation will host a Jamal C. Morris Memorial Scholarship Luncheon at 1st District Plaza (3801 Market St.) to raise funds. 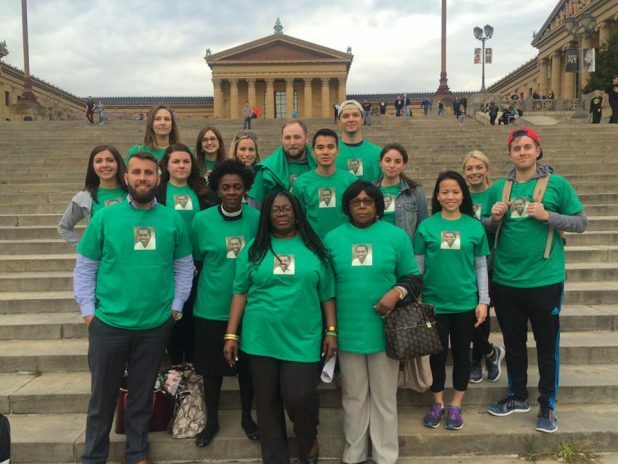 The grieving mother spoke with PhillyVoice on Monday about the foundation’s efforts and what the past year has been like as she copes with unimaginable loss. Through the Gift of Life Foundation, she’s heard from the people who received Jamal’s donated heart, kidney and pancreas. From his death came some good. In keeping busy, she’s visited churches to urge people to donate organs. The idea for the Jamal C. Morris Foundation – motto: “It’s Only Getting Better” – came from the days and weeks after his death, when people asked her where they should send donations. When she settled on a plan that would help young African-American students “who would love to pursue a degree in engineering but could never go to Drexel,” the university’s president – “such an awesome person” – supported her idea. Next month’s fundraiser – tickets can be purchased for $100 – will go a long way to support that scholarship effort, she hoped. When asked what it’s like knowing the case remains unsolved, Latham-Morris again stayed positive. “He can’t bring my son back, but coming forward could make a difference. It could touch someone who did the same thing, and have them come forward, too,” she said, acknowledging she has forgiveness in her heart. “Finding out who was driving won’t bring Jamal back, but at least we’d know who he is. Taking off like he did, that’s what I don’t understand. A ten year extension of Pennsylvania’s Red Light Camera Program was signed by Governor Wolf today – and not a moment too soon. 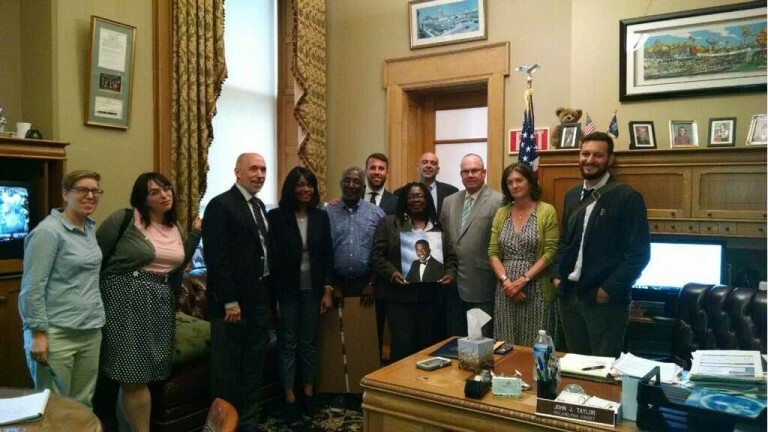 The bill, which had been advocated for by the Bicycle Coalition of Greater Philadelphia, Channabel Latham-Morris, and other partner organizations, will keep the city’s 27 red light camera locations running for the next ten years, keeping our streets safer, and bringing more money to Philadelphia and other municipalities for safety programs. 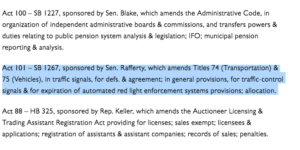 The Automated Red Light Enforcement program (ARLE) is an important project, not just because of the money it generates for improvement projects, but because of the overarching goal: That there will eventually be no money gathered from the program once all drivers follow all the laws of the road. As noted by Governor Tom Wolf earlier this year, this past fiscal year’s ARLE funds totaled $5.5 million, $2.8 million of which went to Philadelphia (roughly half goes to Philly, half gets doled out to the rest of the state). Click here to read more about this year’s ARLE funds. This is a big win for the people of Philadelphia, and of Pennsylvania. And it’s worth considering bills like this don’t just pass on their own. 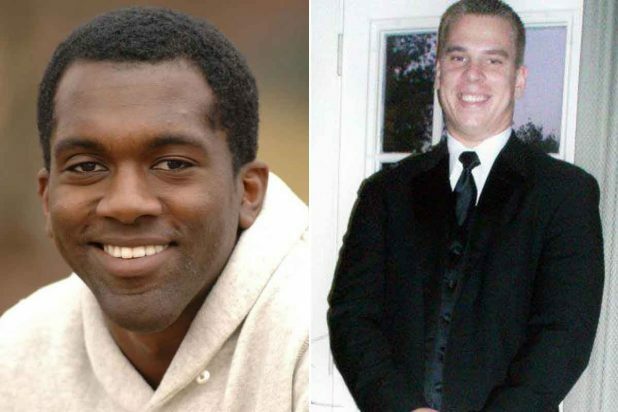 The effort behind this particular legislation was, unfortunately, fueled by a tragedy. Earlier this year, 27-year-old Philadelphia engineer Jamal Morris was tragically killed while riding his bicycle on Market Street in West Philadelphia. The driver fled the scene and still has not been found. His mother, Channabel Morris, later came to the Coalition and asked how she could help us make the streets safer for the city’s cyclists and help prevent future tragedies from happening. Since then, Channabel has been hard at work, accompanying the Bicycle Coalition to the state Capitol, telling her story, and explaining to legislators from all over the Commonwealth why it’s so important to extend and expand the statewide red light camera program, create a photo speed enforcement program, and authorize the use of radar by local police. We’ve gone to the Capitol with her twice. In that time, we met with legislators from all over the state, all of whom listened to Channabel’s story, and our research, and gave us an oral agreement that they felt this bill should pass, and they would support it. We were backed up by AAA, whose government affairs liaison, Jana Tidwell, joined us on our first trip. 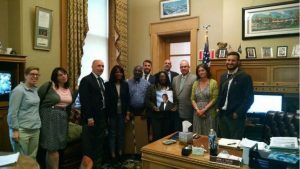 Our group met with State Rep. John Taylor, who has been advocating for red light cameras for a decade. Channabel has additionally begun a charity in Jamal’s name, dedicated to bicycle safety. During our last trip to Harrisburg in early June, we were joined by Latham-Morris’ family and friends, as well as members of Neighborhood Bike Works, and Jamal’s best friend, Bill Mahon. As this was all going on, those advocates who could not make our trip to the Capitol signed onto an email campaign set up by the Bicycle Coalition of Greater Philadelphia, which sent emails straight to the inboxes of those State Senators who were in charge of advancing the bills for which we were advocating. Our supporters and members collectively sent more than 200 emails to legislators all over the state, not only signing their names to this legislation, but sending a personalized letter explaining why they felt this legislation was so important. Channabel Latham-Morris penned this op/ed for PhillyVoice about her advocacy work in Pennsylvania, published earlier this week. It all worked. Here’s a screenshot from Gov. Wolf’s latest news feed, indicating bills signed on 7/20. The passage of Senate Bill 1267 is a big win for road users throughout Pennsylvania. But there’s lots more to do. Though this bill is passed and will continue making our streets safer for individuals who use all modes of transit, it’s important communities continue advocating for additional red light cameras to calm traffic in their own neighborhoods. We will additionally be pushing for speed cameras at the state level, and a comprehensive Vision Zero plan at the local level. The Bicycle Coalition thanks Channabel, Neighborhood Bike Works, Bill Mahon, and all the advocates who helped make this win possible. Additionally, thanks to State Senator John Rafferty, State Senator John Taylor and the other legislators who sponsored and voted for the bill in both houses this spring and summer. We will continue to work on automated enforcement programs at the state level, and look forward to continue working with Channabel, who is a true inspiration to all of us here. Earlier this week, Governor Tom Wolf announced the 6th round of Automated Red Light Enforcement (ARLE) funds: $5.5 million to 18 municipalities for 23 transportation enhancement projects. Philadelphia received $2.8 million of those funds, which it will use on five projects, bringing the city’s grand total under the ARLE program to just under $23 million. Of the five Philadelphia projects funded through this round, three are related to an ongoing initiative by the Streets Department and the Office of Transportation and Infrastructure Systems (OTIS) to build a “smart” transportation system in Philadelphia, said Acting Streets Commissioner Mike Carroll. Those projects, totaling $1.275 million, will install fiber optic connections to the city’s traffic signals, to connect them to both the city’s and PennDOT’s traffic management centers and upgrade traffic management software. As the smart traffic signal network grows, the city will be able to remotely control traffic signals, adjusting timing to current traffic conditions—think longer green lights leaving the stadiums after a Phillies game, or to account for detours around construction—to improve flow. Carroll emphasized that the improved traffic flows made possible by smart traffic signals could effectively increase a street’s total capacity. In other words, with the same number of lanes, it could handle more vehicles per hour than before. That flexibility could make it possible to implement other streetscape enhancements, such as improved crosswalks or bike lanes to improve pedestrian and cyclist safety, without sacrificing automotive flow. Of course, such enhancements can already be made without reducing automobile numbers, as traffic counts on Pine and Spruce Streets have demonstrated. The other two ARLE projects in Philadelphia will get $1.525 million for safety improvements: $525,000 for new LED street lights and $1 million for 30 to 50 traffic calming projects. The traffic calming projects will include a wide range of low cost interventions, noted Gus Scheerbaum, the ARLE coordinator at OTIS. Over the past few years, the city has used $4 million in ARLE funds for pavement markings, improved signs, speed cushions, signal improvements, and other minor improvements at hundreds of intersections. In addition to being more energy efficient, LED lights are simply better than the old pressurized sodium lights, said Scheerbaum. “LED street lights allow a lot more clarity in someone’s perception of what they’re seeing at night,” said Scheerbaum. According to PennDOT, the ARLE program has distributed a statewide total of $45.4 million since 2010. Currently the ARLE program is funded entirely by Philadelphia’s 122 red light cameras located in 28 locations across the city and administered by the Philadelphia Parking Authority (PPA). Since 2010, PPA red light camera revenues have totaled $82 million before expenses. 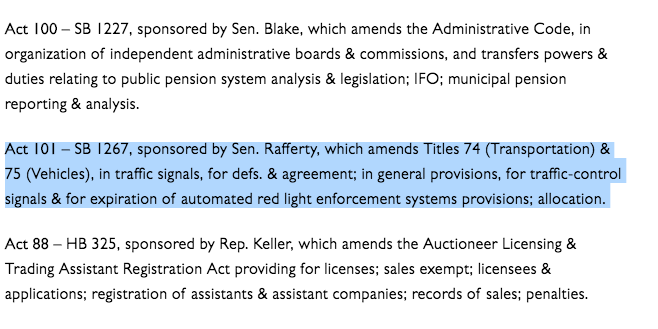 A 2012 amendment to the red light camera law authorized a 29 municipalities in addition to Philadelphia to install red light cameras, but so far only Abington Township in Montgomery County has. In Abington, the red light camera program costs more to operate than it makes, so it does not contribute funds to the ARLE transportation enhancement fund. ARLE applications are reviewed by a eight-person panel with four members from PennDOT and four from Philadelphia. The ARLE law emphasizes that municipalities that operate red light cameras should receive priority over those that don’t. Setting aside revenues, red light cameras have a mixed record as a traffic safety intervention: research shows that cameras tend to reduce right angle crashes at intersections (the t-bone crashes caused by a car running a red light), but increase the number of rear end collisions. In Philadelphia, red light cameras have significantly reduced violations, according to a Texas Transportation Institute (TTI) research review. The TTI paper emphasized that red light camera deployment was most effective when incidents of red light violations, and appurtenant t-bone crashes, were highest. Elsewhere, the negative side effects—more rear end collisions—may outweigh the benefits. ARLE funds can only be used for traffic enhancements such as new traffic signals, new lights, or intersection improvements. Maintenance projects, such as resurfacing or filling potholes, are not eligible. IF LOSING a child is the worst kind of pain, then I can’t imagine the kind of gut-wrenching anguish Channabel Latham-Morris will be in Wednesday as she returns to the city where her beloved son, Jamal Morris, died. 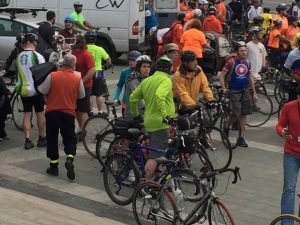 She will light a memorial candle at the Bicycle Coalition of Greater Philadelphia’s annual Ride of Silence, an eight-mile trek that leaves from the Philadelphia Museum of Art on Wednesday night, beginning at 6:45. Morris is among 10 cyclists from the region killed by motor vehicles since last year’s commemoration. Bikers in Wednesday’s demonstration will have with them several “ghost bicycles,” white, pared-down two-wheelers in honor of the deceased cyclists. Similarly appointed cycles are sometimes left at the scene of crashes in memoriam to fallen riders such as Morris. I can’t imagine what will be going through her head as she hears her son’s name announced, and listens as the circumstances surrounding his tragic accident are read aloud. Morris suffered massive head trauma in the collision, and was taken off life support a few days later. In Latham-Morris’ position, I would have a hard time maintaining my composure. But I suspect she will summon the strength, because in Morris’ tragic death, Latham-Morris has found a renewed purpose for living. “At 27 years old, you look forward to weddings and grandchildren and all that,” she told me Saturday. “And some senseless person knocked him off his bike or hit him, however this accident happened … By the time he got to the hospital, it was too late for any survival. 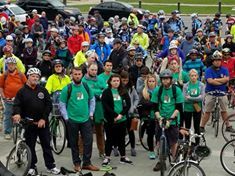 In addition to speaking to participants at this year’s Ride of Silence, Latham-Morris plans to accompany members of the Bicycle Coalition as they make the rounds in Harrisburg, lobbying in support of several bills that they believe would help make the streets of Philadelphia safer for bikers. One of them is House Bill 950, which would extend funding for red-light cameras in certain areas. “We have explained to Channabel that there is no way of knowing whether these [proposed] laws could have saved Jamal, but they are proven to slow down traffic, making streets safer,” wrote Randy LoBasso, Bicycle Coalition spokesman, in an email. You’ve got to admire Latham-Morris, who told me she planned to drive her husband and stepdaughter to Harrisburg on Wednesday and then back to Philadelphia. But then again, grief has a way of making possible things you didn’t even know you had in you. Morris was Latham-Morris’ heart. Her only son. Born six weeks prematurely, a fighter from the beginning. He was reared in Queens, in New York City, before moving upstate. His mother made sure he had piano lessons, attended church regularly, and traveled to countries such as Japan and Australia. At Drexel, he became an avid cyclist. Morris, who graduated from college in 2011 with a bachelor’s degree in mechanical engineering, worked as a piping designer for Amec Foster Wheeler, an international engineering and project-management firm. His last address was at 53rd Street and Market.